The Artists-in-Residence Program forms the core of MYCincinnati’s annual Price Hill Creative Community Festival. Each summer, 5 Artists-in-Residence work with a small ensemble of MYCincinnati musicians to co-create, from the ground up, a piece of brand new collaborative work. These ensembles, which are intergenerational, interdisciplinary, and diverse beyond any measure, become the creative laboratories within which we try to fully embody values of social equity, radical imagination, creativity, and democracy. 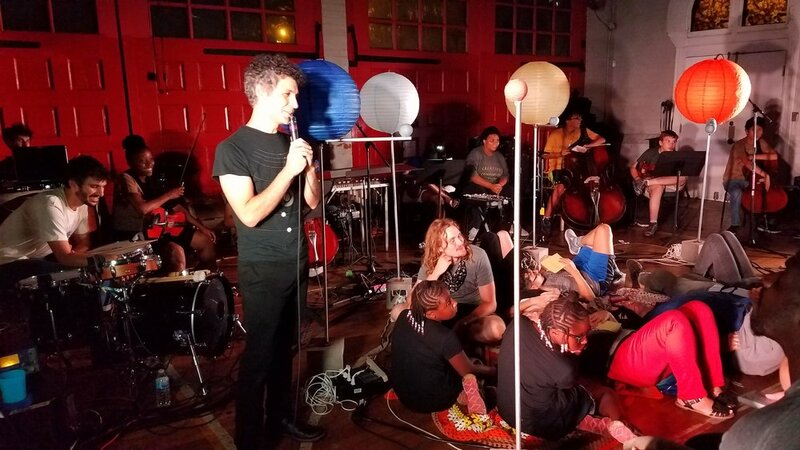 Past AiRs have included cellist Tomeka Reid, theater artist Kaneza Schaal, poet Siri Imani, filmmaker Jarrod Cann, shadow puppetry duo Paradox Teatro, musician/astronomer Josiah Wolf, and more.